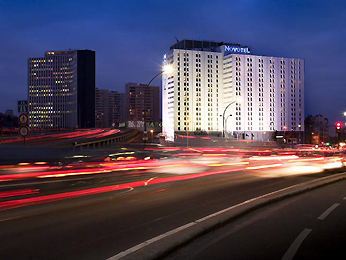 The Novotel Paris Est hotel is a 4 star hotel located 10 minutes away from the Grande Halle de la Villette, 20 minutes from the Saint Denis business district and Villepinte and Le Bourget exhibition centers. Quick access to Roissy and Orly airports. Justoutside the hotel, the metro provides quick access to the center of Paris in 15 minutes. The hotel has a restaurant, bar, fitness center and business center with a theater accommodating up to 650 people. Free WIFI and paying indoor car park.